The OSUNA is responsible for all seismological observation activities in western France. To do this, it is based upon the expertise of LPG seismology researchers. Part of this involves the maintenance of current stations and setting up stations for the upcoming French Seismological Network (RESIF). The OSUNA has been a member of the RESIF consortium since 2013. 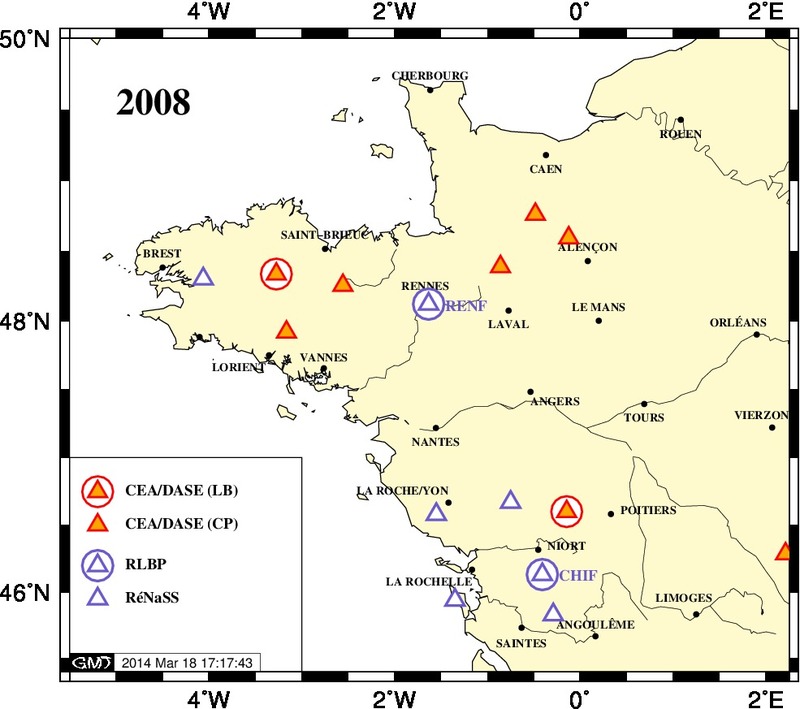 RESIF is the acronym for the French seismological network. 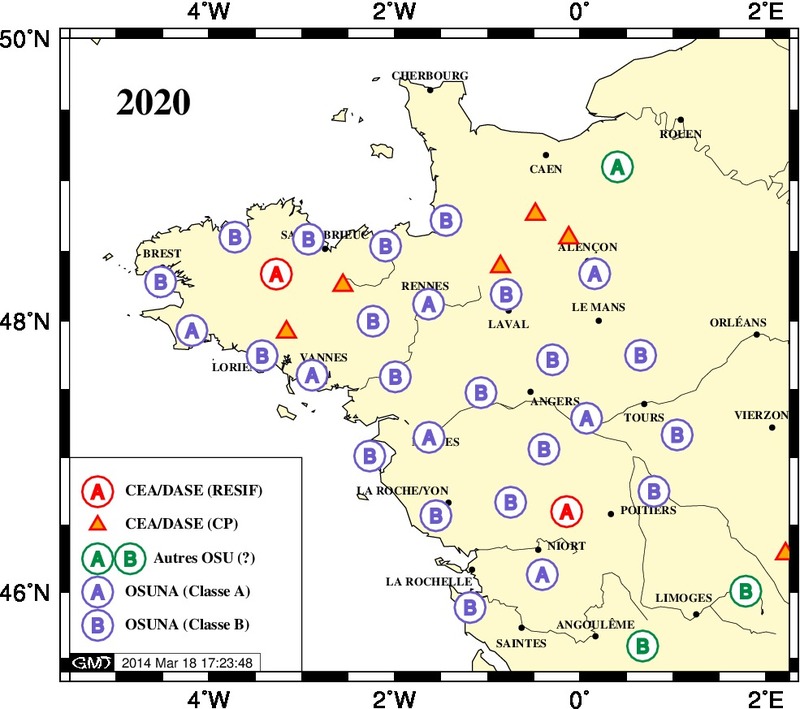 Currently undergoing its most significant construction phase, a total of around 180 seismological stations are expected across metropolitan France in the coming years. The OSUNA is in charge of 23 of these in the west of the country. These form the very large RESIF research infrastructure, the CNRS-INSU Seismology Observation Service (OS), the data from which will be free and accessible to all. The EquipEx RESIF-CORE project plays a key role in the construction of the majority of wide-band stations. The velocimetric sensors are used for regional and distant earthquakes, as well as for noise measurement purposes. Accelerometer sensors are designed for local measurements in the event of significant ground movement in order to avoid any overloads. 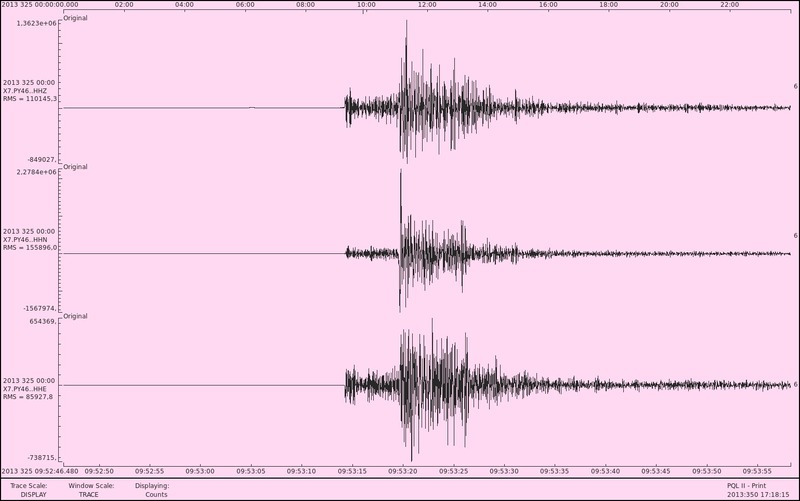 Seismogram of the Vannes earthquake (21st Nov. 2013) recorded at Ploemeur (RESIF station - test N66) - the line at the top represents vertical movement, the line in the middle represents North-South horizontal movement and the line at the bottom represents East-West movement.